It is not always expected that interview questions should be straight forward being the least technical. Most time job applicants answer these questions straight from the grammatical interpretation without being calculative enough to decode the underlying meaning. The essence of what we are saying is you should try to be more critical and read between the questions. Here we look at some common questions we stand to get at interviews; but not only the question straightforward but also the technical connotation behind it. 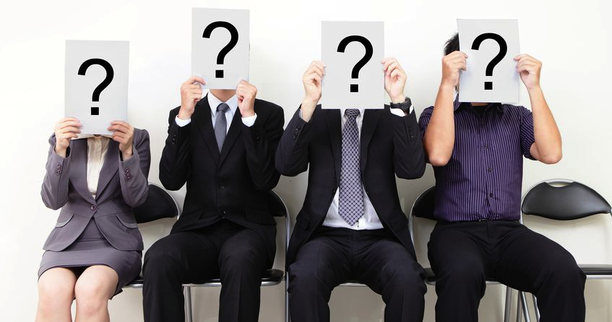 Here we present some commonly asked interview questions, looking a bit deeper into what employer really want to know. This would guide you a great distance in coupling your answers. “Here the question is asking you how the open job relates to your work history, your professional ambitions and most typically your educational background. You should respond in this manner: make sure to select key words, including your personal educational data. This will now give the hiring manager a clue about your supposed appropriateness for the job opening. Has the applicant sketched long-term career goals?”And if you as the applicant has done so, is this position accommodated into your long term career goals? How to respond: Make sure not to admit you don’t have long term goals (it is not dishonesty even if you don’t actually have long term goals). This way you ensure you don’t place a disturbing emphasis on personal ambitions or irrelevant personal futuristic plans like getting married. This would show the hiring manager that your ambitions have a functional relationship with the company’s goals. “Are you really self-conscious ? Do you allow for criticism, are you prepared to consciously get better? How to respond: A very intelligent response to put up for this is to reply with a well selected past experience; may be how you suffered and consequently overcame a setback. Make sure to avoid turn-offs like “You don’t like working with other people” or that you are a “perfectionist”. “Are you naturally hard-working and meeting deadlines comfortably or you are the type that works from being chastised; are you someone who does this job well for the love of the job or the type that does it well for the fear of not losing it. How to respond: It is true that a lot of employees are motivated internally, so tell the hiring manager that you find motivation when working toward a goal, contributing to a team effort, and/or developing your skills. Provide a specific example that supports your response. “What manner of response do you put up in face of failure? Do you enjoy the educative side of your mistakes; do you learn from them? Are you strong enough to try again? How to respond: this shares resemblance with the “greatest weakness” question, it is needed you show how much you have recovered from failure; and the gems of knowledge you have gained from them. How do you do this? It would be a gross mistake to say you have never failed. It is totally unrealistic and cuts into your credibility. Point out one of your failures; accept it was your fault and then explain how you turned it all around for good at the end. How to answer: Your major aim is to pass across to him the message that you are just the right personnel for the opening (being humble enough not to leave it overblown). Let the hiring manager know of your professional perspectives ( be careful not to say too much here) and emphasize on your skills. Inform them of your gatherings as to the company; and how well you rhyme into their mission, their operation and the pride you owe their reputation. Let them know how juicy much the company stands to gain bringing you in. You are selling yourself outrightly here. Just in phase with other components of the job application process, it is not a bad opinion to seek feedback from friends and family, and even former colleagues. It could be cool to seek out your answers to each of these questions on from say two or more persons, then look thorough and assess yourself on the grounds of their recommendation.